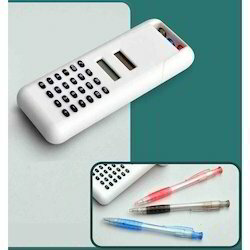 Offering you a complete choice of products which include pocket calculator, flip calculator with clock and temperature, solar calculator with 3 pen set and solar foldable silicone calculator. 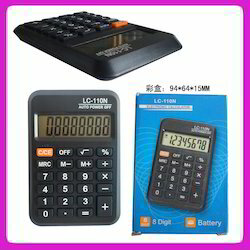 Keeping track with the latest market developments, we are engaged in offering a wide range of Pocket Calculator. We feel proud to introduce ourselves as an eminent organization, engaged in offering an assorted gamut of Solar Calculator With 3 Pen Set. 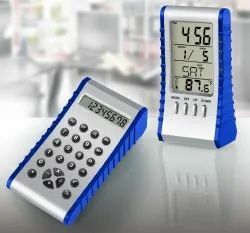 We have emerged as one of the foremost organization, engaged in offering a broad assortment of Solar Foldable Silicone Calculator.